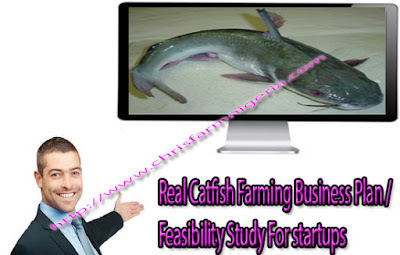 Real Catfish Farming Business Plan/Feasibility Study For startups/ Investment presentation is a free article for you. As a matter of facts, we are here to give you the best of business plans and feasibility study for your business startups. 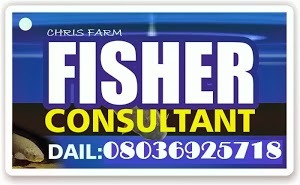 Starting fish farming business needs a plan, that’s what we give for personal use, investor’s uses, loan /grant use. Contact us immediately to give you a real life business plans. As a matter of facts, Catfish farming is one of the most profitable business ventures in most African countries including Nigeria. Oftentimes, people starts with Catfish farming business. Actually, this is relatively easy to cultivate anywhere in the world with high profitability. In like manner, we will show you all you need to know about running a standard fishery anywhere in the world. In those days, fishes could only be obtained from ponds and rivers. Those who owned lands where rivers/lake/lagoons ran through usually made a fortune from extensive fish trade. Nowadays, commercial fish farming has finally taken over. One can easily run a farm on a mobile/tarpaulin/concrete or even earthen ponds and make huge success. As a matter of facts, it can be constructed anywhere. Likewise you can use your backyard or even front yard to culture your fishes, as long as there is sufficient water supply. To start with, fishery products are the most popular animal products found in the Nigerian marketplace. Fish is cheaper than meat, so it sells faster. It is affordable even to average households. High protein supply: Fish is a great protein source. It is low on fat, and contains vitamins like Riboflavin and vitamin D, as well as omega-3 fatty acids, which are helpful to the health and operations of the human heart and brain. Omega-3 fatty acids are not synthesized in the body, so they must be regularly taken in as part of our diet – through fish and a few other sources – to meet the body’s demands. Fish also contains good amounts of calcium, iron, potassium, magnesium, phosphorus, zinc, and iodine. Fish farming is very lucrative. 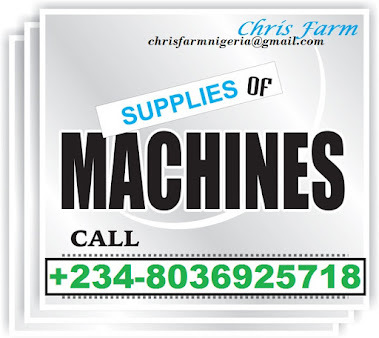 With adequate preparation, execution and management, one could earn between three and seven million naira with an investment of three million naira, after just six months. The size of your pond and the scale you want it to be operated on will eventually determine how much you will invest in it. Big ponds will require lots of fish, more construction costs, more employees, and etcetera; and these all terminate in one end – more money invested, and of course, more profits. Fish has a rapid growth cycle; and besides that, fish farmers can make use of special feeds to enhance the growth rate of their fish. This way, they can reap and resell their fish within a short time. Fish farms are environment-friendly. Much unlike poultry farming, fisheries can be established practically anywhere as they do not pose an environmental hazard. If your house is big enough, a pond can easily be constructed in one corner or at the backyard. Fish farming and Poultry Keeping complement each other as the droppings from Poultry can be used to make feeds for the fish, especially catfish. In fish farming, there are no by-products. Much unlike in poultry keeping, where by products like the bird droppings can be sold as manure or components of fish feeds, and eggs can be sold to consumers thereby constituting an extra income in poultry keeping; fish farming has no such ‘byproduct advantage’. Due to the production costs, fish from man-made ponds are usually costlier than those obtained by fishermen from rivers. Thus, there is a challenge: if customers in your target market are being supplied by local fishermen, you may have a trouble retaining them, as the fish from the fishermen is likely to be considerably cheaper than yours. 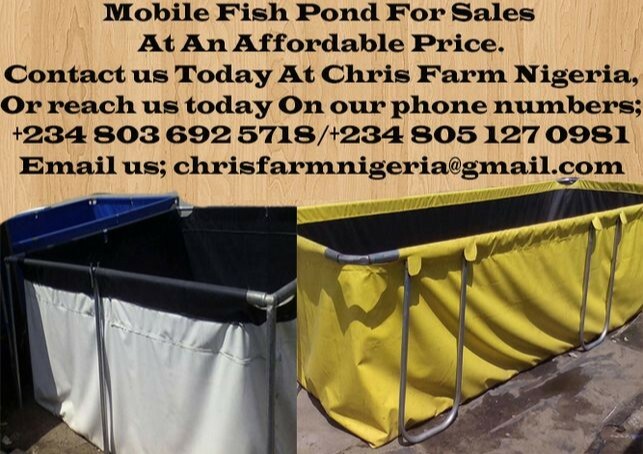 Compared to setting up a poultry or snail farm, establishing a fish farm is more expensive. It is capital intensive and involves a lot of planning. A small-sized pond costs about half a million naira to setup, but this is as a result of the cost of hiring labour and the construction costs. You might as well save yourself some amount of money if you could do the construction work by yourself. However, as long as you retain your target consumers, you will always have returns on your investments. Fish are delicate animals that require careful management. Any slight error in maintenance could lead to a drop in fish production. In some cases, some fishes may die, and this amounts to financial losses. Technical Expertise and Planning: Just like any other successful business venture, fish farming necessitates extensive planning, experience and capabilities before setting up. One would need to accurately understand the techniques and mechanisms of fish farming, as well as the costs of procuring and maintaining the required machinery. When planning for a fish farm, the conditions around the prospective location, source of water, water flow frequency, temperature, the suitability of the environmental elements in that vicinity to the farm, natural resources, and several other factors need to be considered. Accreditation and Registration: This makes your business legal. Before you begin operations, you will be required to register with the Corporate Affairs Commission, and also obtain authorization from associations linked with fish farming. Selecting the Fish to Use: Well, it would be absurd for you to introduce any fingerling you encounter into your pond. You might just be rearing something deadly. The truth is, not all kinds of fish are suitable for farming. Some are toxic and must not be eaten, while it is dangerous to try to cultivate some, and some others may not live long in fresh water. Listed below are a number if the most common types of fish good for fish farming. Titus (Mackerel) – this is the most popular fish in the Nigerian marketplace. However, it does not survive in fresh water, so it is impossible to get this from artificial ponds. It can only be obtained from sea water (saline water) by fishermen. Do not try to add salt to your pond water; it won’t work. Catfish – a large percentage of fish farmers in Nigeria deal in Catfish. It is very easy to cultivate, and many new fish farmers start with it. Tilapia – this is also very common in the Nigerian marketplace. It is known for inhabiting fresh shallow water. It is relatively easy to cultivate, and it has a rapid growth and reproduction cycle. Financial Evaluations: This comprises of costs of construction – developing the design, costs of fingerling's, comprehensive lists and costs of machinery, running costs, power supply, fish feed, cost of hiring labour, capital, structures and buildings, constructing ponds, plumbing works, pipes, nets, tanks and aerators, oxygen meters, boots and other operational gear, and etcetera. 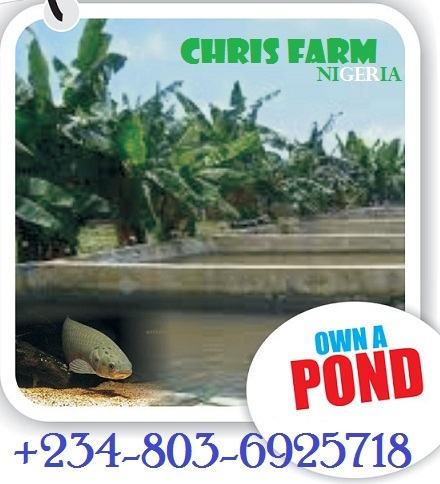 Available Target Markets: You should have a clearly-defined target market before venturing into fish farming. Once you have sorted out the issue of having a target market for your fish, check the demand status (whether your products will be in high demand at some point in the year or otherwise) so you can know how to plan your production schedule and maintain a workable marketing strategy and sales policy in case of excess production. Economics: This essentially refers to starting out on a small scale, say with just under 100 fingerling's. When you have a regular and well-ordered amount of fish, you can conveniently manage whatever comes with fish cultivation; like the water, food and environmental conditions. The Environment: The environment is very important and must be put into careful consideration. This is because your farm may stand a risk of invasion by vandals, birds, cats, insects, and snakes. The condition of the environment may be connected to the normal climatic conditions like humidity, amount of sunshine and rainfall, and etcetera. These environmental conditions go a long way in determining the type of habitat to be designed for fish farming. 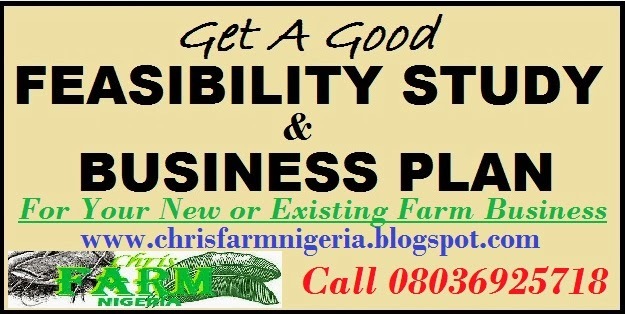 At Chris Farm Nigeria, we are a team of professional business plan writers who gives real life business plans and feasibility study with facts.